The medallion is worn by the University President at official ceremonies such as commencements, convocations and inaugurations. It symbolizes the authority and responsibility vested in the President. 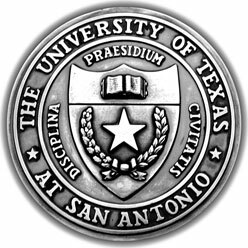 The medallion is inscribed with the words, "Presented by the UTSA Development Board in honor of the University's 25th anniversary–1994." On the obverse side is the University seal. Handmade by James Avery Craftsman, Inc. of Kerrville, Texas, it weighs 12 ounces, is four inches in diameter and is made of brass. The mace traces its roots to the medieval period when it was a weapon used by mounted knights in western Europe. It has been a symbol of scholarship and integrity for universities since the 11th century. Today, the University marshal carries the mace to indicate the solemnity of the occasion and the confirmation of the academic process. The mace is a gift from the Alumni Association to the University. 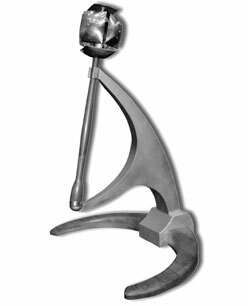 The mace, made of wood, stainless steel and gold plate, was designed and crafted by Tim Bailey, a Houston sculptor who earned his M.F.A. from the University in 1986.